It appears that Charleston and Mt. Pleasant police are enforcing the new no texting while driving law. Charleston and Mt. Pleasant both passed ordinances last year aimed at reducing the number of distracted drivers on the road. The Charleston City Paper reported that since February, the Mt. Pleasant Police Department has issued four tickets. Three of these tickets were issued in April, and until February, no tickets had been written in Mt. Pleasant for texting while driving. Similarly, since passing the ban, the City of Charleston Police Department has apparently issued six tickets, with the majority of them being issued in May. Although there was a slow start in enforcing the ban on texting while driving, if April and May were any indication, it appears that the number of citations may go up for lowcountry residents in the near future. In 2011, 3,331 people were killed and an additional 387,000 people were injured in motor vehicle crashes involving a distracted driver. 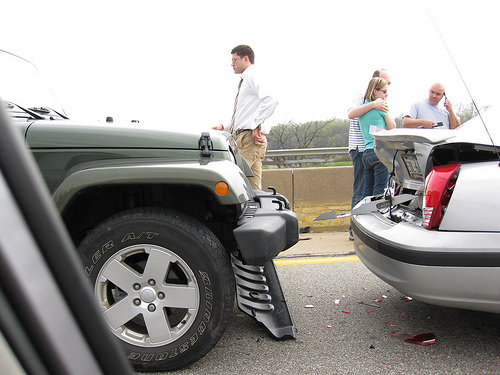 20% of injury crashes in 2011 were reported as distraction-affected crashes. For drivers 15-19 that were involved in crashes, 21% of the distracted drivers were distracted by the use of cell phones. At any given moment in America, approximately 660,000 drivers are using cell phones or manipulating electronic devices while driving. Sending or receiving a text takes a driver's eyes from the road for an average of 4.6 seconds, the equivalent at 55 mph of driving the length of an entire football field, blind. Keep in mind that a violation of this statute could come into play in civil lawsuits because the violation of a statute, which has the essential purpose of protecting persons such as the injured party from the kind of harm suffered, amounts to negligence per se on the part of the defendant. In South Carolina, negligence per se is some evidence of recklessness and willfulness that requires submission of the issue of punitive damages to the jury. ​Source: www.distraction.gov "What is Distracted Driving?"